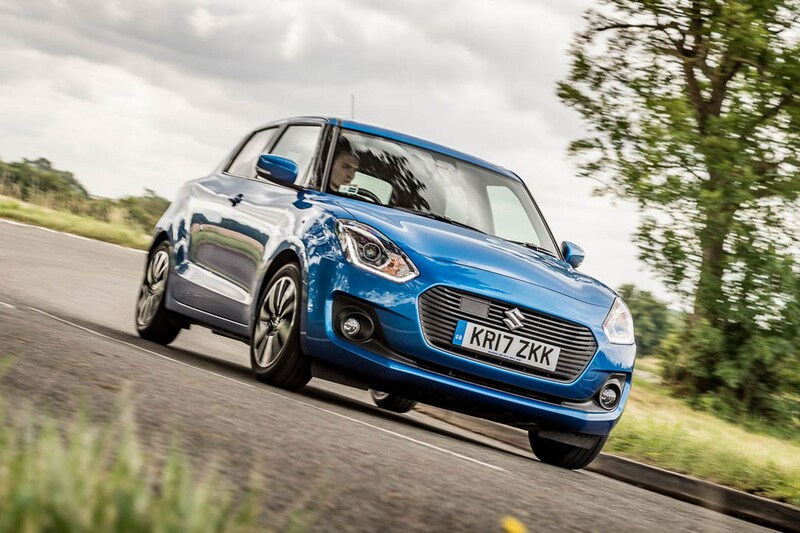 Just what does a Suzuki Swift Boosterjet mild hybrid actually do? ► Grown-up, or a little rotter? Nine thousand and three miles over the course of a year in one car is decent going, considering I've also driven almost everything else that's passed through the office and regularly been out testing new models abroad in that time. So, after 12 months that included countless airport runs, trips to see the family in Newcastle and a blast in Wales with the wider CAR team, what have I learned from living with a Swift? Quite a lot – mainly because, as I said at the start of our time together, this would be the first time I'd properly be responsible for a car that I could call my own. I learned that I prefer mine to the new Swift Sport, which may sound perverse but turns out to be quite a widely held opinion. When I drove the hot Swift back in the June issue, it felt a bit underwhelming – particularly given it costs £17,999. But this SZ5-spec Swift, on the other hand, with its zippy three-cylinder engine and lighter steering, is somehow more in keeping with Swifts of old, like it had more of a personality. Feedback from several hard-to-please colleagues supported this view: my Swift is a lot of fun, while the Sport disappoints. I've also learned that the SHVS mild hybrid kit (a belt-driven integrated starter generator assists the engine during acceleration, and improves economy and reduces CO2 emissions by generating electricity through regenerative braking) does not make an appreciable difference. 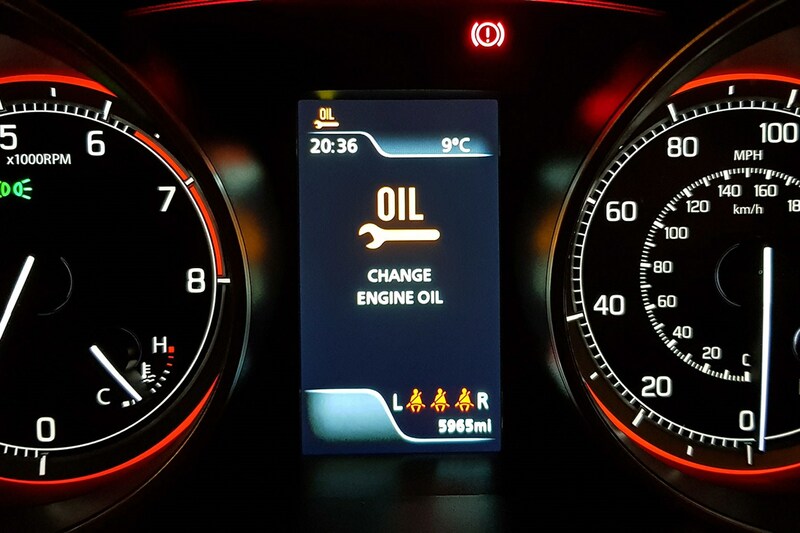 I'm a nerd who likes techy animations, which meant I spent a lot of time studying the hybrid graphic in the instrument cluster, and what it was telling me was that very little hybrid activity was actually occurring. 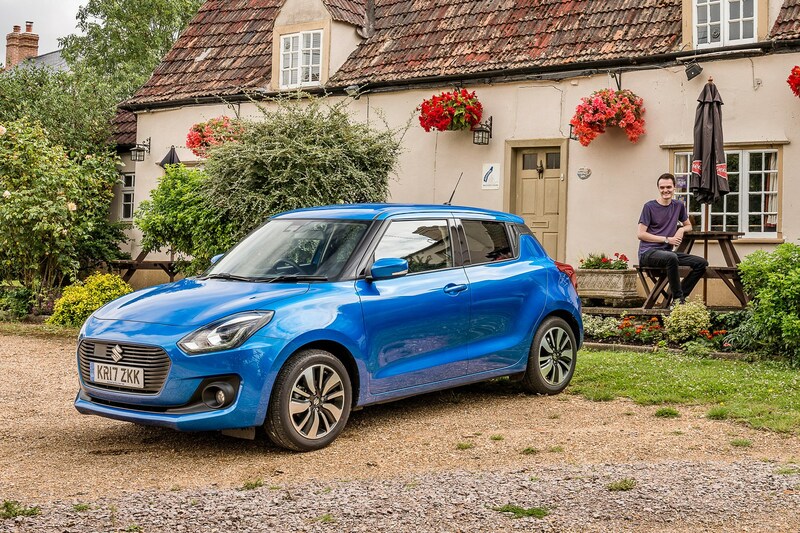 The fundamentals – the things that make the Swift enjoyable to drive – are really good. It's when you start fiddling with the ancillaries that it seems less impressive. There's a clumsiness about some details that makes you wonder if they couldn't have made them slightly better, without adding a single bean to the price. 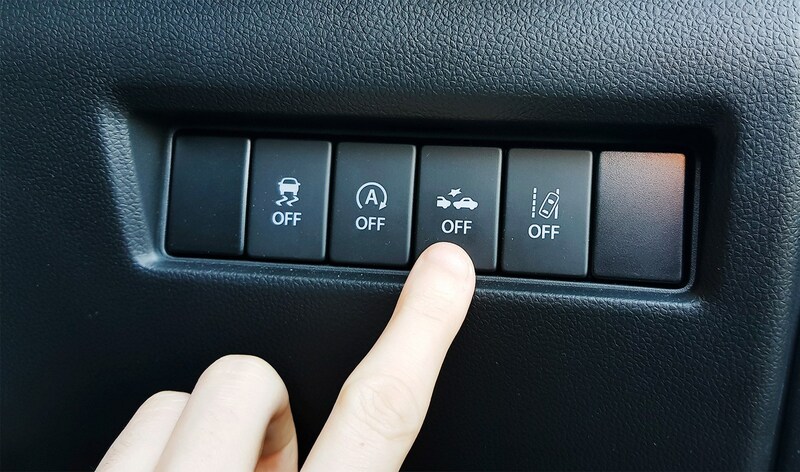 The automatic headlights, for instance, that would switch themselves on at the mere hint of cloud on a sunny day. The collision warning system was so paranoid I wanted to sign it up for some therapy sessions. And there's a better touchscreen on my eight-year old Nintendo DS. And there are doubts in my mind about how well this car was assembled. 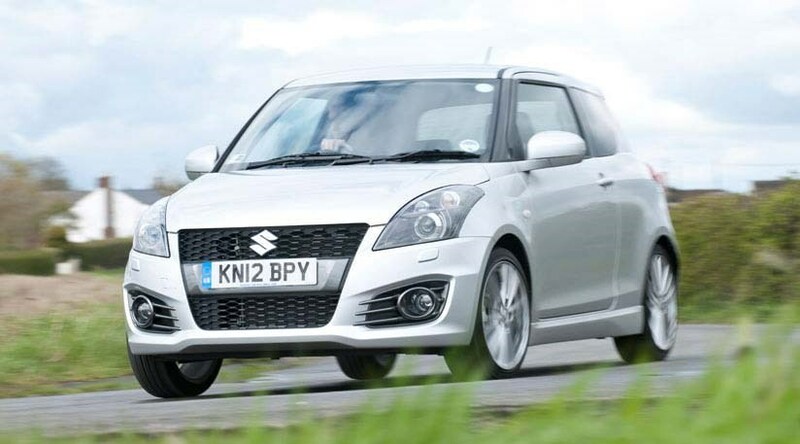 The Swift went to Suzuki HQ twice in our year. The first was triggered by an oil change message that came several thousand miles too early. The second was because I moaned a lot about how baggy and rattly the gearbox and interior trim felt. My doubts were fed by a drive in an older, previous-generation Swift that still felt as tight as a drum. 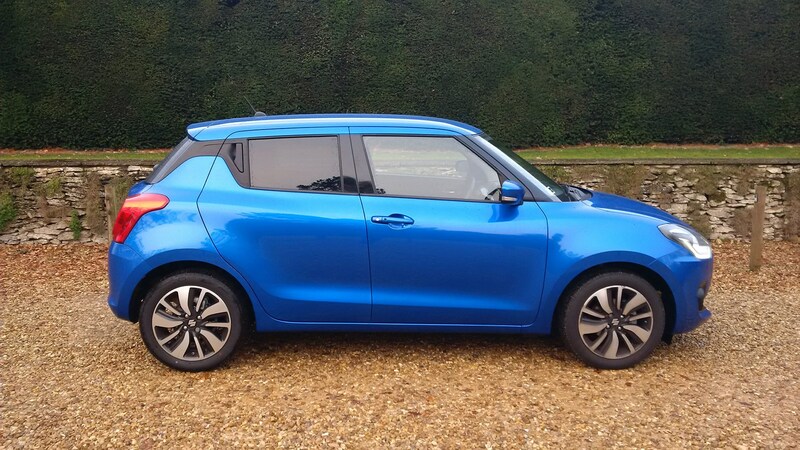 But, encouragingly, when my Swift returned after its second check-up it had acquired some revised parts, not straight replacements, showing that Suzuki is keen to iron out the minor niggles in a good-value, practical and engaging package. 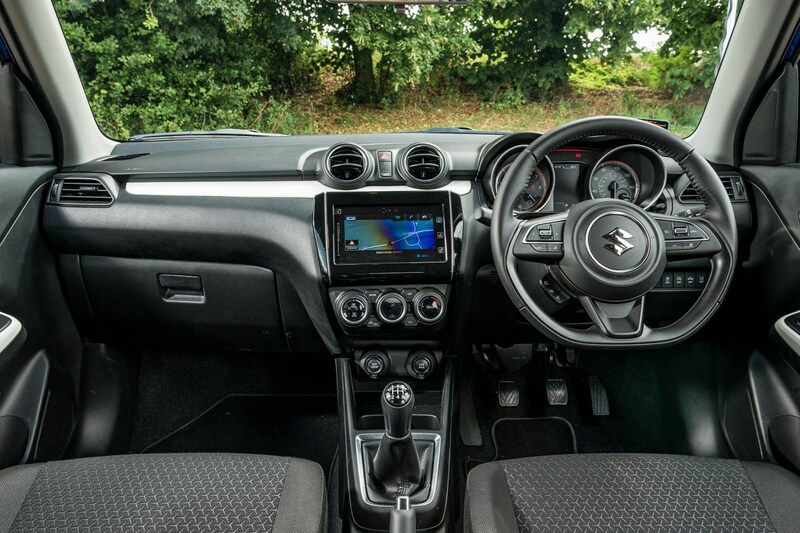 As I mentioned last month, the Swift was whisked away to Suzuki as they wanted to investigate my complaints about the rattling interior trim and sub-optimal gearbox feel. Second gear, for example, felt particularly unhealthy due to regular sharp clicks and crunches, and at least three separate interior knocks were getting irritating. Just before the Swift’s departure for inspection, the rear left door handle stuck shut, too, requiring so much force to open it I feared I’d end up yanking the handle off entirely, Incredible Hulk-style. The gearlever assembly was replaced, as were both rear door catches. But both were a new, modified type of part added after the first 2017 production run that included my car, and neither of which have been subject to a recall from Suzuki UK. Suzuki’s techs also changed the transmission oil, rectified a creak coming from dry front suspension rubber mounts and secured a loose wiring loom behind the dash that was the cause of some of the knocking. All is now well, with the Swift back in rude health and no harm done, although it would have been better if I’d taken it to a dealer as soon as it sounded a bit off, rather than waiting until Suzuki became alarmed by my grumbling. If you own a 17-plate Swift, I suspect it’ll be worth checking in with a dealer if you’re having similar problems, or bring it up at your next scheduled service. Not many miles of late, partly due to a long spell of work trips, but also because the Swift has been away at Suzuki. Once it returned, it only took an hour's spin during a lunch break for me to get back into appreciating the Swift's great handling and perky engine. Suzuki wanted to investigate the rattles and my complaint about the gearbox, which I'll describe in detail in my next report. What I will say for now, though, is that all is well once more. I’ve heard a lot from various colleagues about how my Swift is in the same spirit as previous Swifts, but I wanted to find out for myself just how the little supermini has evolved. Luckily, our designer Rebecca Wilshere owns a previous-generation entry-level Swift. She’s driven mine plenty already, so I just had to have a go in hers so we could compare notes. The biggest difference is pace. Without being too rude, Becca’s Swift is achingly slow; the addition of a turbo and light hybrid assistance in mine makes it feel like a McLaren when pitted against the naturally aspirated 1.2. There’s a huge lump of shove towards the top end in Lil’ Swifty accompanied by that weird-but-lovable three-cylinder growl – neither of which you get to enjoy in its predecessor. The safety and convenience tech has leapt on, too. 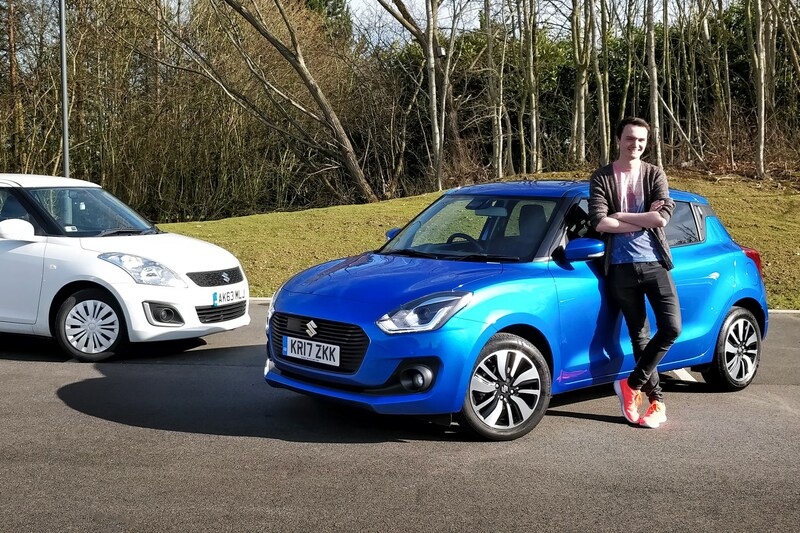 It’s a little unfair to compare the two cars here – mine is a top-end SZ5 while Rebecca’s is a basic SZ2 – but it does highlight how far Suzuki has come in terms of what it can offer buyers. Adaptive cruise control, a parking camera, Android Auto and Apple CarPlay among other luxuries are fitted to my car. They’re all slightly decadent features for a budget supermini, but they’re nice to have all the same, and the total price is still keen. It’s the dynamics that bring up the biggest debate, though. The eager handling traits of my car – good grip, decent brakes and right-side-of-sporty ride – always make me smile. But Becca’s Swift has a much sweeter gearchange action, shorter pedal strokes and weightier steering, which makes throwing it around a corner that little bit more fun. Much to Becca’s dismay, I even managed to get a bit of lift-off oversteer around a roundabout. Smush the two sets of handling traits together and I’m completely sold. 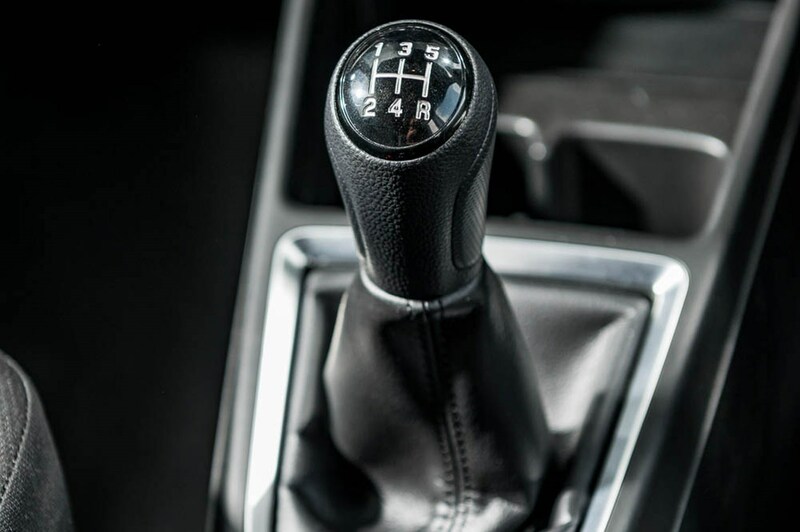 The grip, brakes and ride of my car combined with the superior controls of the earlier model would let you make the best of the willing engine. Shame that the Swift Sport left me feeling a little cold in comparison. New high score! Remember in Month 2 when I obsessed over the hybrid battery graphic, wondering if I would ever get a five-bar 'battery full' symbol? Well, I did it, after plenty of coasting and braking through some hilly northern countryside. 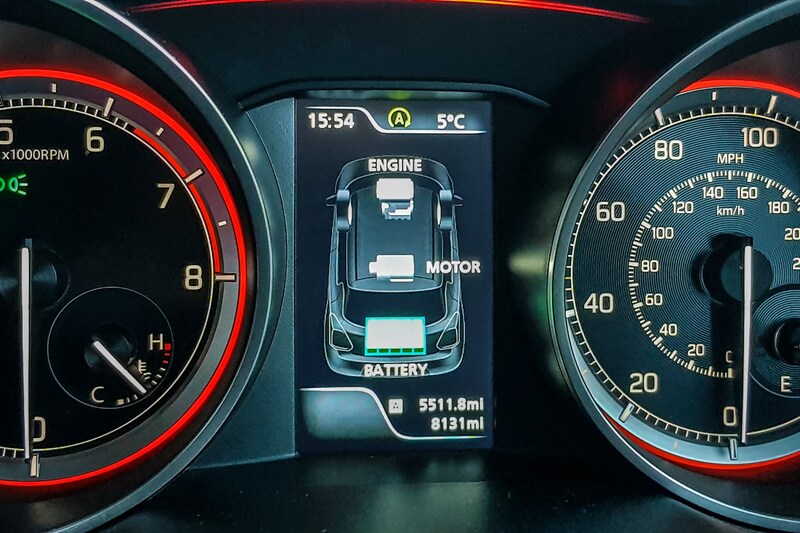 If nothing else it proves that the mild-hybrid system does work, although the battery can then go from full to near-empty pretty quickly if you change the way you drive. The overall consumption trend not so rosy. 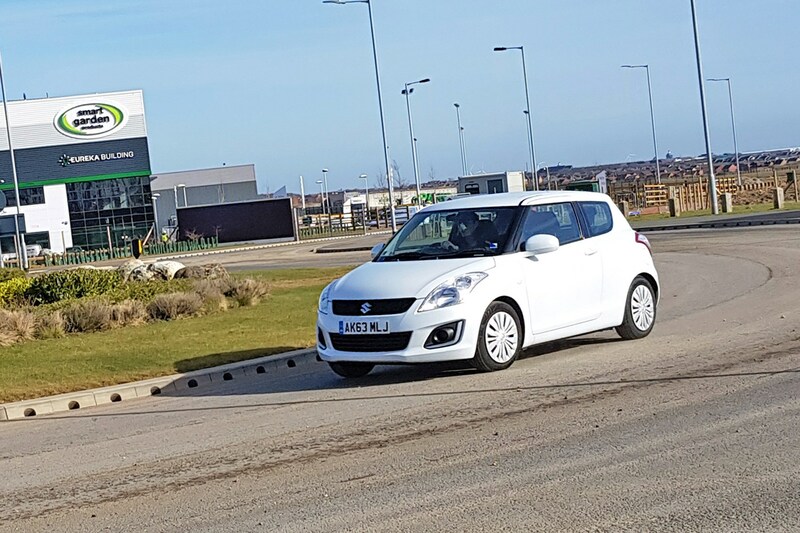 That's not the fault of the car – it's down to the fact that I've been doing a lot of 200-mile trips up to the Geordie homeland, and regular airport runs, all of which involve a lot of sustained foot-to-the floor driving, which the Swift simply wasn't built for. More urban-centric driving used to net me regular 50mpg tankfuls, with minimal help from the hybrid system. Another month, another Swift moan – this time about sounds. The tinny stereo and boomy road noise on the motorway I can forgive, but the growing number of rattles and crunches I can’t. It started about two months ago with a low-speed rumble coming from deep within the dashboard on the driver’s side, only presenting itself when pottering about suburban streets at 10-20mph. It rattles long enough for you to notice, but not for long enough for you to place exactly where and what it is. Not that long ago, the housing that covers the steering column started to jitter, too, until an aggressive smack put that to rest. The latest one? My seatbelt reel has started vibrating, which is right at ear height. Grrr. These would be bearable but the gearbox is playing up too. The success rate of snicking smoothly into first is waning, second crunches at least half of the time and even third doesn’t always play ball. 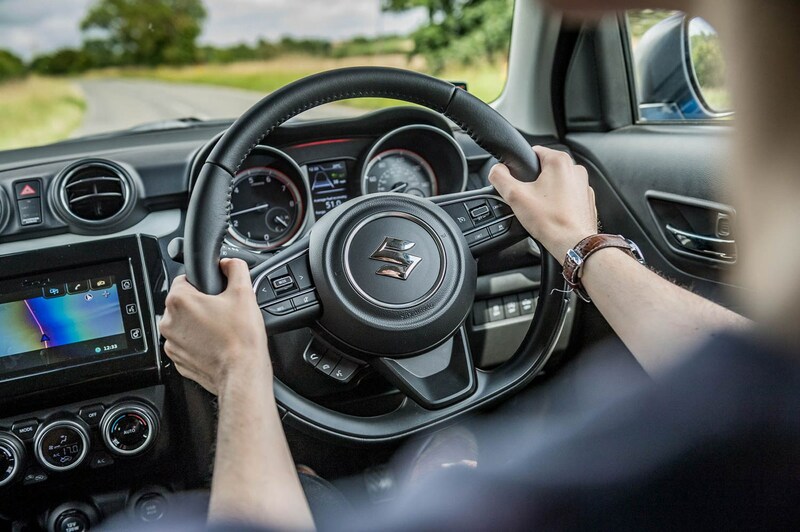 Don’t think it’s driver aggression – it’s a light city car used appropriately, not an overly ragged hot hatch. Well this is a dashboard icon I didn't expect to see so soon, if at all. At around 5800 miles, just as I was about to take a week-long trip up to my old Newcastle home, li'l Swifty said it needed an oil change. Odd. After trying and failing to book it in for a service at my mum's local dealer (they were booked up until after I was back in P'Boro), Suzuki's Tech Centre was curious to take a look at it. It was returned the same day without the light on, but there's no explanation yet as to why. Strange. Do you remember playing Top Trumps as a kid? They were always based purely on numbers with no subjective grey areas and for an eight-year-old with a deck of car-themed playing cards, that made perfect sense. A supercar that does 205mph is clearly superior to one that does 204mph. An almost imperceptible digit change in the real world meant categorical victory in the playground. If we played the game with two of the cheapest cars currently on our test fleet – my Swift and James Taylor’s C3 – I’m smug in the knowledge that my Swift would come out of the duel with little more than a light flesh wound. It trumps the Citroen in almost every category. The cars are equal on power, but the Frenchie has a chunk of extra torque and is almost a second quicker to 62mph. 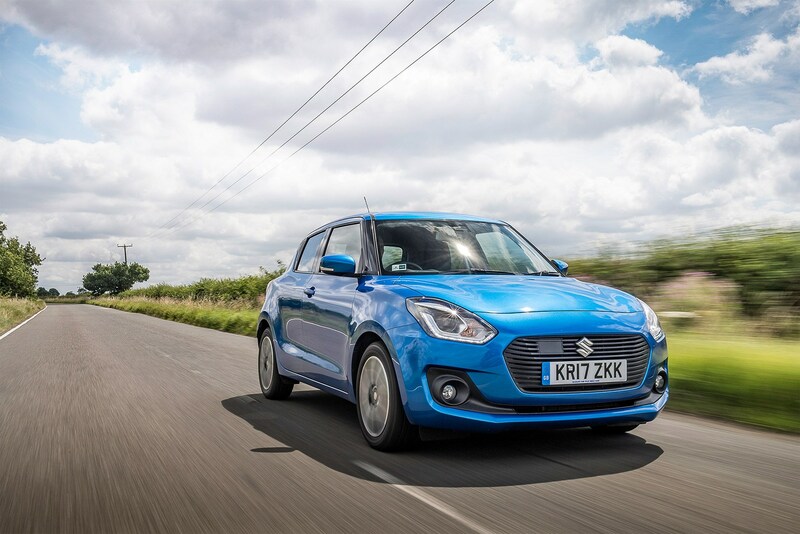 The dinky Suzuki, though, fights back by having a higher top speed, being more fuel efficient on paper, lighter and a smidge cleaner in the emissions department. 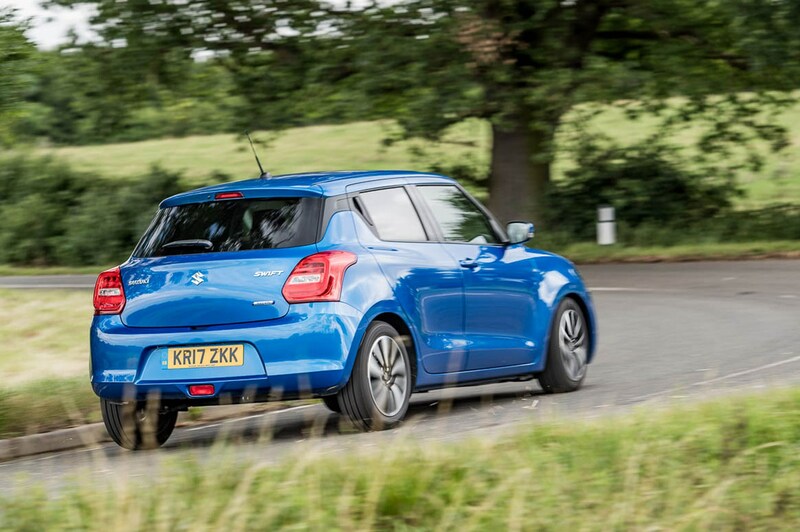 Plus, the Swift is more than £3000 cheaper than the Airbump-infested C3. Strict Top Trump rules would mean the Swift loses here but in this case cheaper is most definitely better. So that’s a decisive 5-2 victory for Hamamatsu over Paris. But there’s more to it than just pure data, isn’t there? Both cars are loveable and both have their problems. The C3 is both brilliantly and irritatingly French. That funky, chunky face and the cartoonishly large Cactus-inspired alloys scream fun, while the seats and ride comfort combo makes this one of the most relaxing cars I’ve driven all year. It’s also a really commendable motorway cruiser and a touch more spacious for lanky folk like me in the back. But the chilled-out vibes are stymied by the absolutely horrible gearshift and unintuitive touchscreen. I’m not alone in these findings; James agrees, as does the rest of the office, in fact. It’s definitely a Citroën, for all the good and bad stereotypes that come with it. Over in the Suzuki camp, the whole stereotype thing is true here as well. You’re treated to almost kart-like handling, a sporty flat-bottomed steering wheel and a far less wallowy suspension set-up, much like Swifts of old. Digital overlord Tim Pollard ran a Swift Sport back in 2012, and after taking this car for a spin he beamed back at me chuffed that the spirit of the little Japanese runabout remains untarnished despite the progress of time. It was even racing driver-approved by James, praising the willing engine and chuckable dynamics. Even so, everyone who’s grabbed the keys has pointed out the trigger-happy collision warning, hollow interior and crude infotainment. Which should you pick, given the choice? That’s surprisingly difficult to answer quickly, as it turns out. 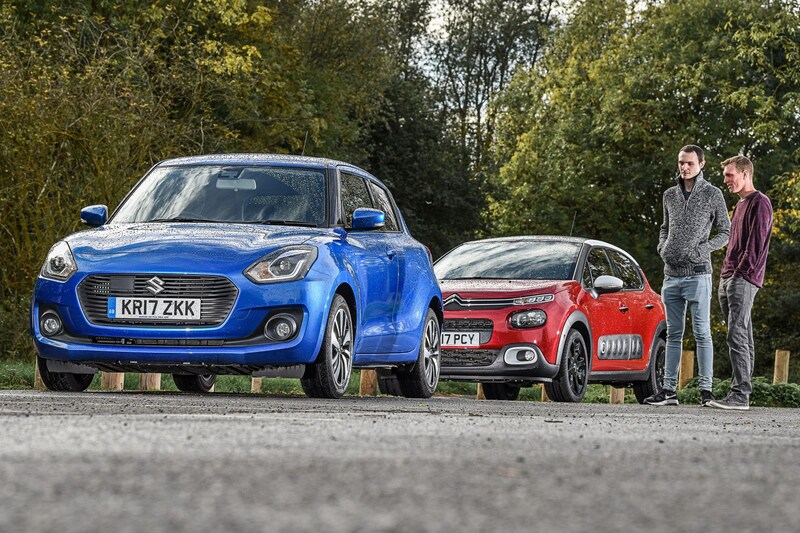 On paper, the Swift wins easily but the C3’s Gallic charm and extra customisability level out the argument. I’d still pick the Swift, if only just, but then I would, wouldn’t I? It is mine after all. We've lived with our Swift for a couple of months now. Here's a round-up of what annoys, what we're enjoying and a deep-dive into some of the details of our Swift SZ5 1.0 SHVS Boosterjet. The auto headlights have a mind of their own. Even driving under a tiny bridge in broad daylight is enough for the system to panic and flip the beams on for a few seconds. I just switch them on manually now (heaven forbid! ), so what’s the point in auto lights if they don’t work without needing the driver to intervene? Like the headlights, the collision warning sensor is highly strung, warning of impending crashes when I’m already coming to a stop with room to spare. I’d switch it off, but there was one time it genuinely stopped me from rear-ending someone in traffic, so it’s begrudgingly left on for me to be shouted at by the loud, high-pitched alarm. 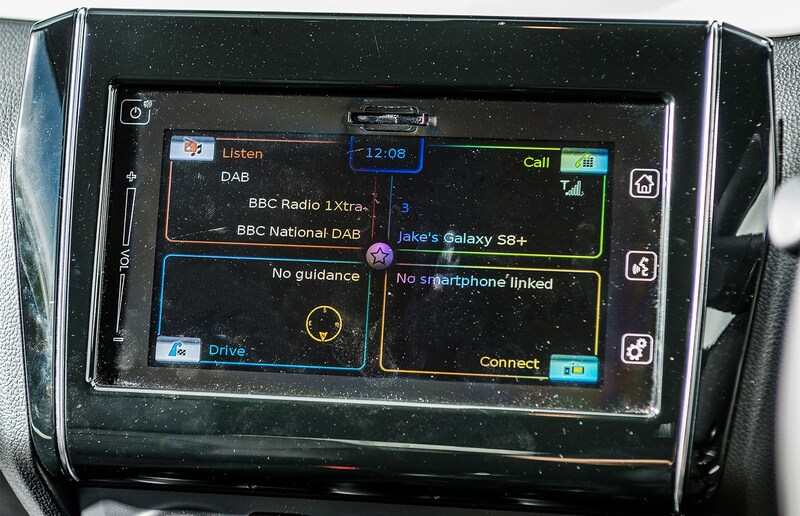 The touchscreen infotainment system has loads of connectivity and is much better than the slot-in system in the old Swift. But the navigation blindly directs you into jams, even if it warns of heavy traffic on the route it provides. M’learned colleague James Taylor says the graphics ‘look like a student PowerPoint presentation.’ Ouch. Do you want to know how much brake force you’re applying? No? How about a g-force sensor that displays your pitch and yaw? 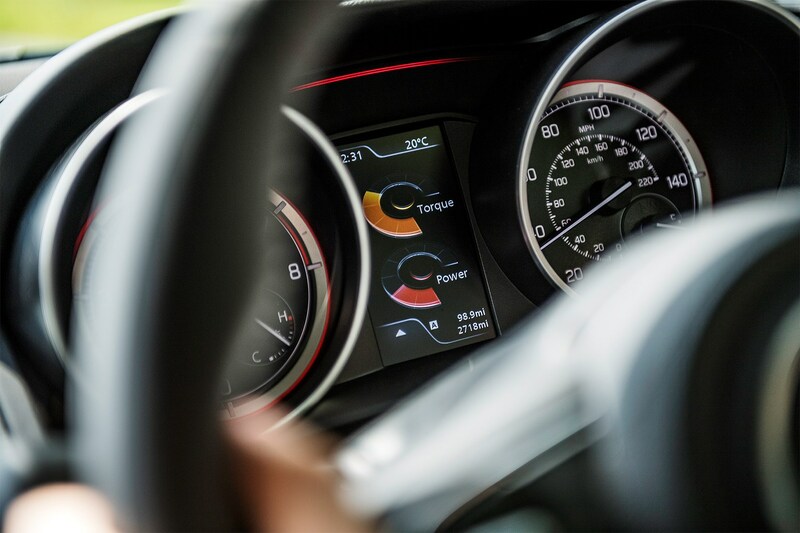 Or power and torque meters as you accelerate? All of these unnecessary read-outs are a button press away, but a genuinely useful digital speedo? Don’t be silly. 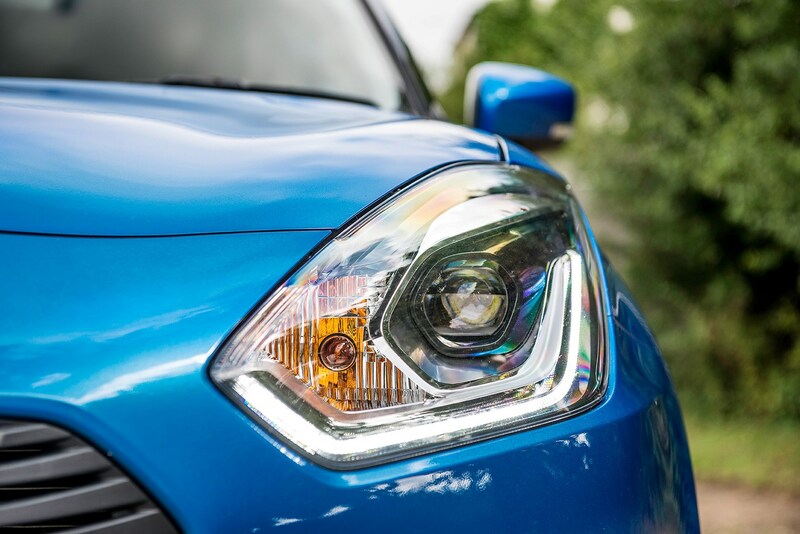 Month 2 living with a Suzuki Swift: what is the Boosterjet hybrid system? My Swift is a hybrid in the mildest of senses, but even so I’m in the midst of my own eco challenge. The hybrid monitor’s graphics include a battery meter, and I’m coasting more than usual for bonus battery regen. It’s almost always on either two or three bars, with four seen for just one fleeting moment. I’m still chasing that mythical full battery and learning how to eco drive in the process, so my mpg is creeping up. Welcome back, old friend. I ran CAR's old Suzuki Swift Sport long-termer back in 2012 and‎ jumping into Jake's new Boosterjet mild hybrid was like a step back in time. They've somehow kept the Swift DNA intact in this latest generation five years on. Poncey name aside, a strong no-nonsense vibe percolates our SZ5 1.0 SHVS Boosterjet: it's not fancy, or trying to be too clever and this simplicity is the Swift's ace card. 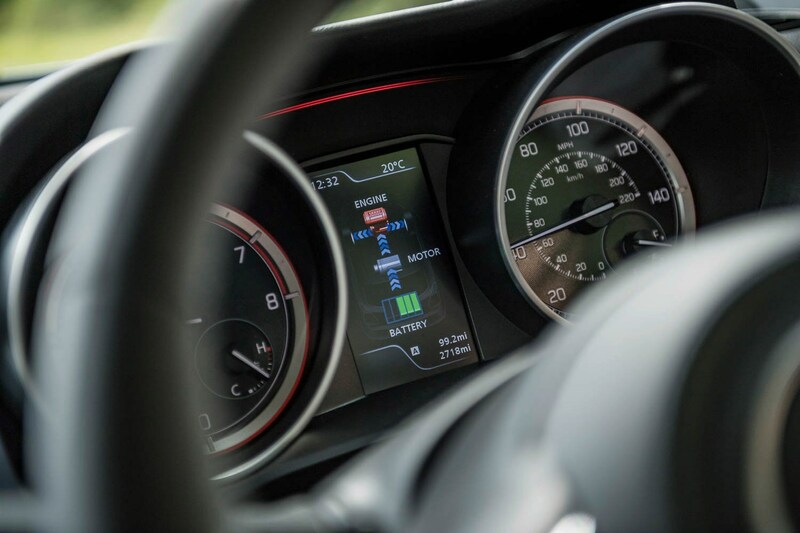 It's light and zippy to drive, feeling faster than its‎ 10.6sec 0-62mph time suggests. And the five-speed gearbox is well judged, its five ratios keeping things hushed on a motorway. Yet when you're stirring through the cogs, the three-cylinder thrum is engaging and fun, just as I remember our four-cylinder 134bhp Swift Sport (below). It's impressive they've generated 109bhp from just 998cc in the Boosterjet triple, showing how far downsizing has come. Yet I averaged 54mpg this weekend during mixed chores and rural country driving. 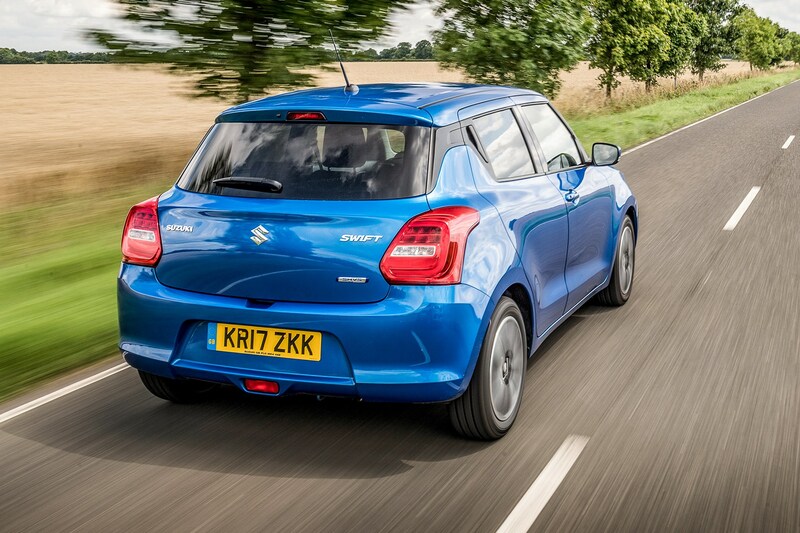 The Swift aces that, with five doors, a deep boot and plenty of room for kids in the back. A few glitches notwithstanding, strong early impressions in the CAR long-term test review. 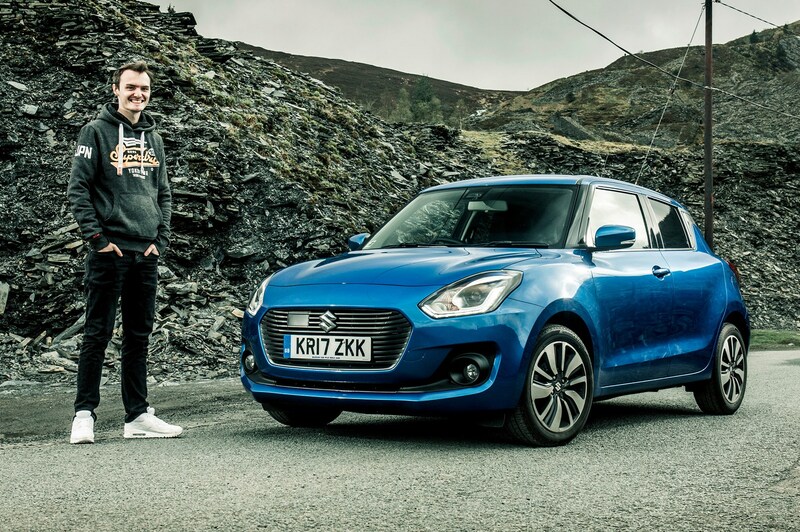 Month 1 living with a Suzuki Swift: the perfect first car? I have a confession to make. I've held my driving licence for six years now, driven for all of that time and been behind the wheel of plenty of cars in this job but I've, er, never owned one. Yep, that's right – a young lad who's loved cars all his life and writes about them for a living hasn't (yet) had one in his name. Go figure. So, our new Suzuki Swift long-termer is the closest I've got to living with an actual car of my own. 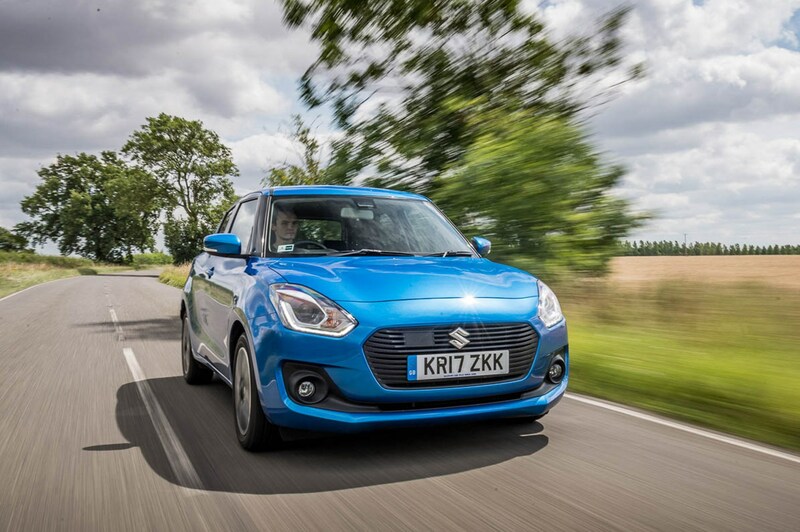 It's definitely a good demographic fit; the Swift has always been a simple, honest and good value option in the supermini class and one that's great for first car owners. 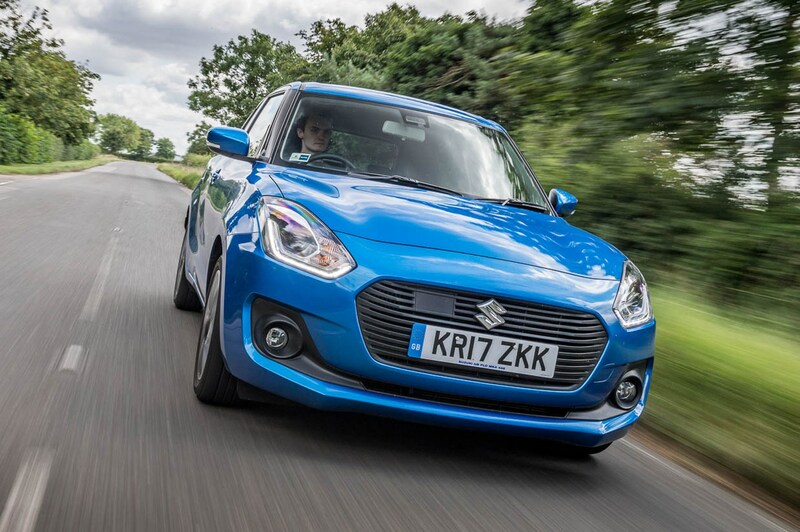 Our new Swift arrived on the CAR fleet hoping to maintain that image, fresh from a triple-test win against the Nissan Micra and our very own Citroen C3. It did, however, arrive armed to the teeth with gadgets, which sort of defeats the whole 'simple and honest' vibe the Swift usually gives off. For a kick off it's the top-spec SZ5 model, which comes with big-boy toys like adaptive cruise control, sat-nav with traffic updates, lane-departure warning, high-beam assist, keyless entry and smartphone mirroring. That's on top of all-round electric windows, a reversing camera, rear privacy glass and DAB radio. It's also equipped with the 1.0-litre Boosterjet with the SHVS mild hybrid system. The latter comprises an ISG (Integrated Starter Motor) – basically a combined starter motor and generator – and a lithium-ion battery separate to the usual lead acid one. The regular lead acid battery starts the engine from cold, but the ISG wakes the engine up quietly when you're in stop/start traffic. The energy stored in the lithium ion battery is used to drive the ISG, which can also give you a little torque boost lower down the revs. When you coast, the motor uses the wheels to keep the battery charged. It even has a hybrid power monitor like Matt's Prius, where you can see where the energy is going depending on how you're driving. Now, all this high-tech stuff seems a little OTT for a little hatch, but the Swift still does the sums. 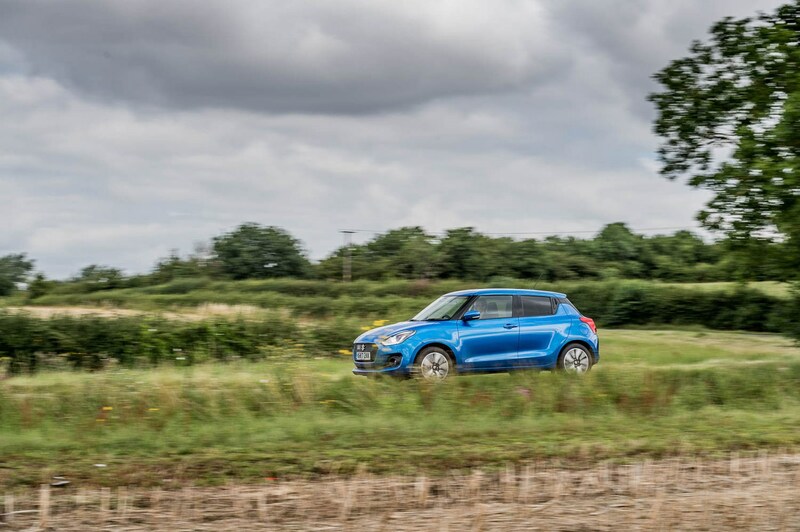 The only option box ticked is the Speedy Blue metallic paint (£485), so our under-£15k-all-in Swift has way more tech on board than a new Ford Fiesta Zetec or Vauxhall Corsa Design and is around £3k cheaper than our long-term C3. So, what's it like? First impressions seem to show up a split personality. The Swift is still a flyweight (at 925kg) in a sector of growing supermini fatties, so it darts around with all the eagerness of an excited puppy and the thrummy Boosterjet engine is fun to thrash. But it's also much better at doing sensible motorway commuting than some of its competitors; the adaptive cruise comes in handy, the seats are thick and spongey and the ride is just on the right side of firm. Will the Swift help me grow up and live in the real world, or will it just be like a mischievous high school buddy? I guess we'll just have to see.